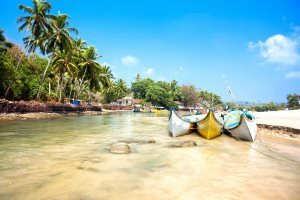 Framed by two magnificent rivers - The Mandovi and The Terekhol, North Goa is home to a striking coastline, dotted with vibrant and bustling beachfront resorts. Tourism is well established in the north of Goa, giving the region its own unique charm and character. Soft golden sands line the shores and are backed by colourful makeshift beach shacks and coconut palms whilst just inland, villages come alive with local restaurants, lively bars and craft stalls. 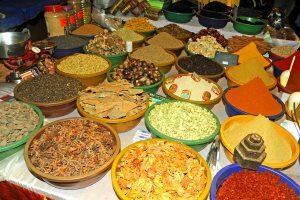 The region hosts some of the best markets in the state including the bohemian Anjuna Flea market, the Mapusa local produce market and the lively Saturday Night market at Arpora. Just to the south of Candolim beach, you’ll find a quieter village called Sinquerim. 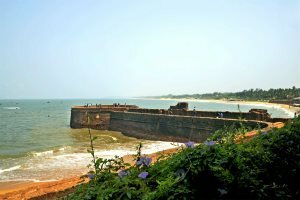 Meander along the beach front, discovering local shacks along the sand, and onto the peninsula where the striking 16th century Fort Aguada offers stunning views along the coast. 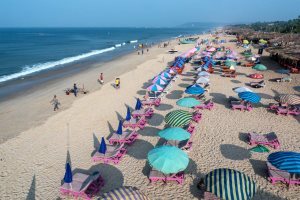 Quieter than its neighbours Calangute and Baga, Candolim is a charming beachfront resort with a long stretch of soft golden sand backed by makeshift beach shacks and rolling dunes. 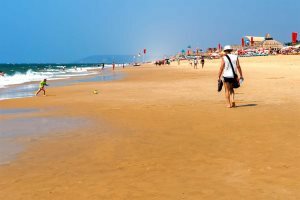 A vibrant beachfront resort, Calangute beach is known as the ‘Queen of Beaches’ due to its popularity. Water sports are aplenty, and numerous makeshift beach shacks offer sunloungers and parasols for hire. Drifting right up to the mouth of Baga creek, this bustling and lively beach is one of the most famous in the state. Backed by an unbroken line of beach shacks and constantly busy with India’s domestic market, the resort is home to some of the state’s most famous nightclubs and restaurants including Tito’s and Britto’s. Just north of Baga, is the charming village of Anjuna and the picturesque Vagator. Anjuna is home to an eclectic mix of colourful Portuguese houses and lush paddy fields. Famous for its weekly flea market, Anjuna still parades an air of hippy-chic, originating from the 60s. Vagator boasts stunning backdrops made up of lush greenery and rustic cliffs. Just inland from Anjuna with a riverside location, lays the authentic Goan village of Siolim. 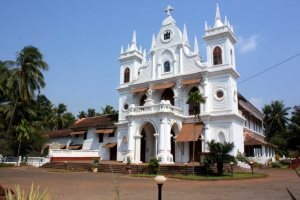 One of the largest villages in the state, Siolim is a hotspot for beautiful colonial houses and Portuguese Heritage homes. Not so touched by tourism, you’ll find this village is resolutely Goan. Nestled in the hills and just inland from the Baga coast, Arpora is a charming rural village, where the immediate landscape features churches, salt pans and rice fields. 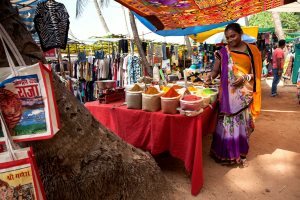 Here you’ll find the lively and atmospheric Saturday Night market, a must-do for any holiday-maker visiting Goa.